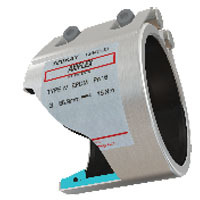 Teekay Pipe Couplings allow pipes to be joined without the need for flanging, grooving, threading or welding. By simply butting two pipes together and connecting with a Teekay Pipe Coupling, space, weight, time and cost savings are achieved with every installation. Teekay Couplings have been sold for over three decades to more than 85 countries worldwide for civil, water, oil & gas, marine, building service, process, automotive and countless other industrial projects for pipes between 21mm and 4200mm in diameter. The Teekay Axilock range is designed to replace the need for flanging, welding, pipe grooving and pipe threading by providing a quick and easy solution to joining plain-end pipe. Encorporating grip rings at each end of the fitting, the Teekay Axilock offers high levels of security by locking the pipes together under pressure. Each coupling is 100% rubber-lined, ensuring that high levels of corrosion resistance are maintained throughout the life of the coupling. 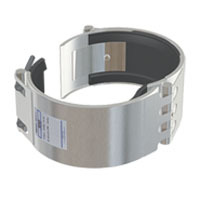 Available in single (Axilock-S) and double (Axilock) casing versions depending on pressure and diameter. Both models are suitable for new installations and retro-fit, whether on a ship, building or process plant. The Teekay Axilock range offers a versatile pipe coupling system that accommodates angulation, vibration and vacuum. The Teekay Axiflex is a high performance coupling that allows generous pipe angulation and expansion/contraction. The Axiflex is a popular choice of coupling with water authorities, civil engineers and building contractors and is available in sizes up to 4.2m in diameter. The stainless steel and high strength steel designs ensure significant weight savings are achieved over cast iron couplings. The result is less manpower, quicker installation times and massive cost savings. The Teekay Repair Clamp is the budget repair coupling of choice. 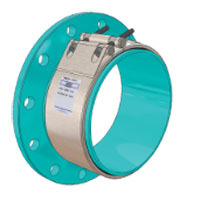 Featuring 1/2 cut flanges on the underside of the fitting, this type of coupling can be easily pulled around a leaking pipe to seal a fracture. Once wrapped around the pipe, the fitter then goes about installing the coupling in the same manner as any other Teekay coupling. Suitable for emergency repairs in buildings and industrial units to avoid costly reinstatement work caused by water damage. The Teekay Repair Clamp represents excellent value for money both at point of order and at point of use, as significant installation time savings can be achieved with the light-weight stainless steel design. 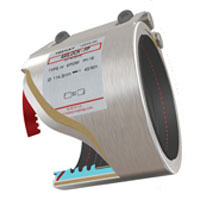 The Teekay Repair Coupling is ideal for all situations where you need to make a permanent repair under pressure. Simply open up the coupling, wrap it around the pipe and fasten - you have repaired the pipeline in minutes and avoided the need for costly downtime. 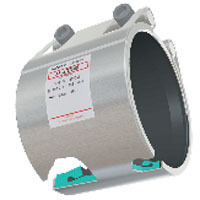 The Repair Coupling comes with no loose parts and features our standard gasket which actively seals onto the pipe. The range is available up to 3000 mm OD and in widths up to 410mm wide. 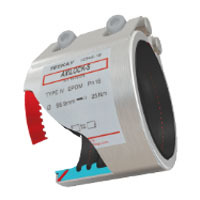 The Teekay Repair Coupling is used throughout the water, process, oil & gas and marine industries. Have you got two pipes to join with a large difference in outside diameters? Use a Teekay reducer to make the connection! Teekay reducers can be fabricated to suit any pipe O.D. and are available in both concentric and eccentric configurations. Two pipe couplings are supplied, one on either end of the reducer, with a choice of Axiflex or Axilock (depending on diameter and pressure). 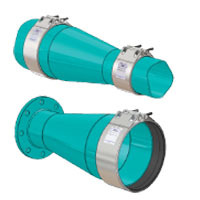 Teekay also manufactures Flanged Reducers for connecting flanged pieces of equipment to plain end sections of pipe of a different size. Please contact Teekay for further details. Teekay Flange Adaptors make the installation of pumps and valves quicker and easier. Simply bolt the flange adaptor on to the existing flange and fasten the coupling over the join between the flange adaptor and plain end pipe. This creates a useful maintenance point in the future: undo the bolts on the coupling rather than the nuts on the flange adaptor and lift out the piece of equipment! Teekay Flange Adaptors can be fabricated to any pipe O.D. and are available in standard and non-standard drillings. 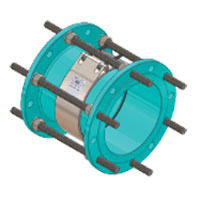 Choose an Axiflex coupling to accommodate expansion and contraction or an Axilock for a fully anchored solution (depending on diameter and pressure). Teekay Dismantling Joints facilitate the easy access and removal of equipment when it comes to long-term maintenance of piping systems. Rather than moving large sections of fixed pipework, use the Dismantling Joint to create space and easy access to pumps, valves and flowmeters. Teekay Dismantling Joints enable up to 100mm of longitudinal adjustment. 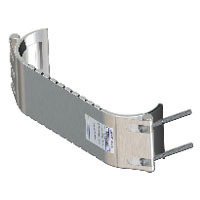 Each joint comes with a Teekay Axiflex coupling and axial restraint is provided by the high tensile steel tie bars. 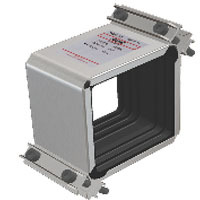 Teekay Square Couplings provide a comprehensive solution to joining box section without the need for hot working onsite. Available in 60mm, 80mm and 100mm sizes, the square coupling lends itself to the joining of aeration pipes. Expansion and contraction can also be accommodated as the coupling is supplied as a non-anchoring type. High temperature gasket options are available.